Garage Doors are one of those things that you don't think about until something goes wrong. When your garage door requires repair, turn to the Buckeye area garage door experts at Elephant Room Doors. 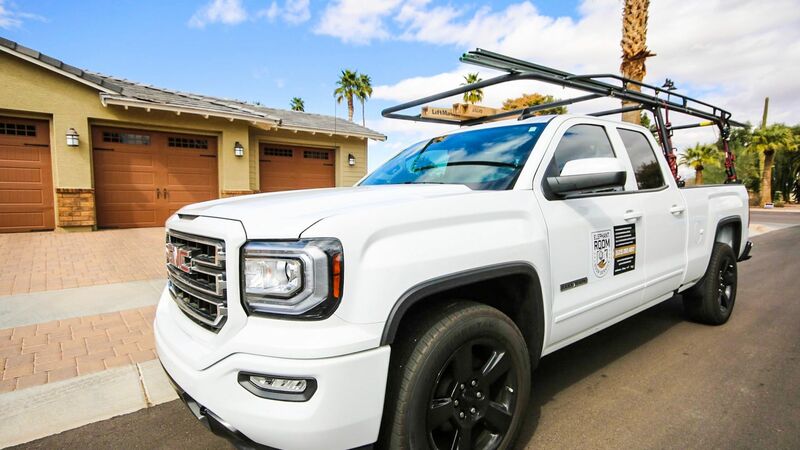 Locally owned and operated in Buckeye, Arizona since 2018, we have quickly become the leader in garage door service throughout the Phoenix metro area. Why Choose Elephant Room Doors? ★ Discounts & Savings Always Offered! People don't realize how heavy garage doors are until they've got a broken spring. If you've had to manually lower and raise your garage door, you know just how heavy and cumbersome (and potentially dangerous) they can be! In addition, if your sensor doesn't relay a signal to the motor, you will lose the safety feature that prevents the door from closing on something or someone. Elephant Room Doors offers a full inspection of the functionality and safety of your garage door. If you want to work with a garage door contractor in Buckeye who can get the job done thoroughly and correctly, call the local experts at (480) 447-5511. There is nothing worse than calling a repair person, getting told you'll have a four-hour window for a technician to arrive, and then not seeing them! 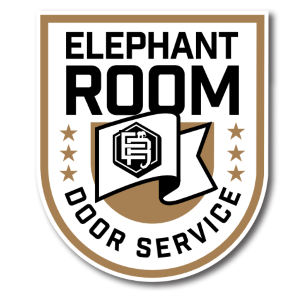 Here at Elephant Room Doors, we keep our appointments. When you call (480) 447-5511 to schedule a free estimate for servicing your garage door in the Buckeye area, you will be given an appointment with a technician which works around your busy schedule. Choosing Elephant Room Doors makes garage door maintenance simple. Need emergency garage door service? Immediate service is required when you have a problem with your garage door and when you call Elephant Room Doors, we'll be on the scene quickly to assess your needs and get your garage door fixed - quick! We carry just about every style of garage door you can imagine, and can help you choose a style and color that looks great on your home. Garage doors are most commonly made from wood, fiberglass or steel. Steel is the least expensive and most popular type. Once you choose the type of door to best suite your home and your budget, the next step is to choose the look. You can select from a wide variety of textures, such as wood grain, and colors to match the rest of your home. We also offer garage doors with windows on the top panel to allow light to enter. Call (480) 447-5511 for a free quote! When you have a problem with your garage door, your home security is probably foremost on your mind. 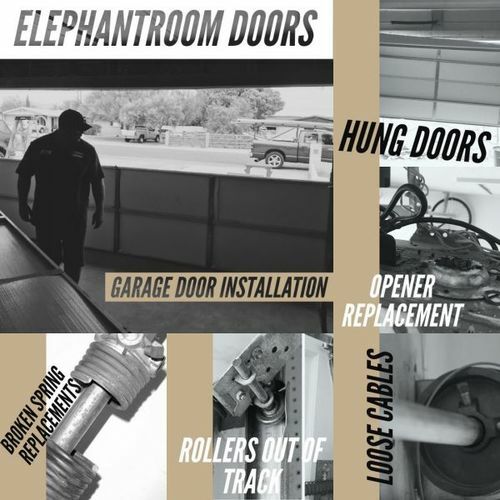 The garage door repair specialists at Elephant Room Doors understand the urgency that is required in handling your garage door repair in Buckeye. We'll send a crew of competent technicians, armed with tools and supplies. In most cases, your garage door can be repaired on the spot!